This birthday I got many lovely gifts from my family and friends. I wasn't too sure on whether or not to do this post because I never like being seen as someone who is showing off their gifts...but all of these are SO affordable and would make excellent christmas presents. Will link everything where I can! 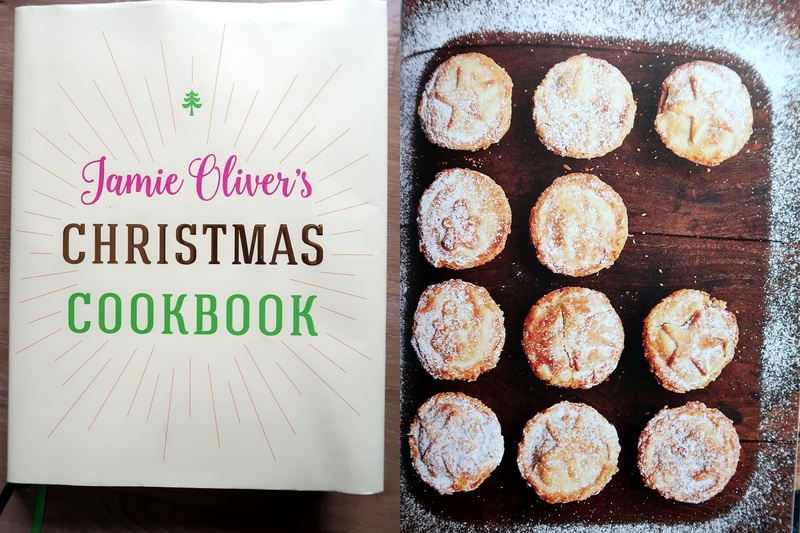 Perfect for the enthusiastic Christmas baker as it features many traditional festive recipes (like how great do those mince pies look!?!). Can purchase at most book stores. For ages I have wanted the Sugar Crush body scrub but I had just never gotten around to purchasing it. My clever sister realized this and purchased these two for me! These smell INCREDIBLE. Sugar Crush is one of my favourite scents ever, I just wish I could eat it haha. For the Australians here we can purchase Soap & Glory from MECCA Cosmetics here. 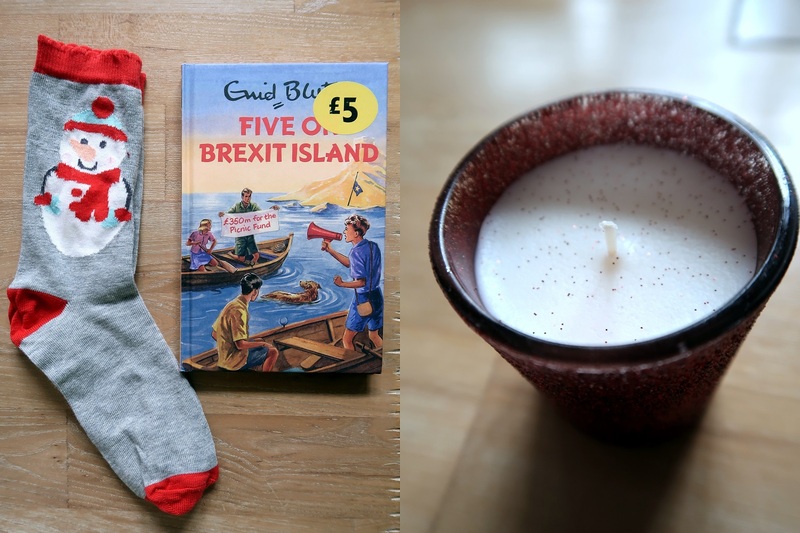 One of my best friends just got back from Scotland and bought me those cute little penguin socks and the "Five On Brexit Island" book. The Brexit book is my favourite, it's so hilarious, definitely would make a great present for the joker. Not sure where my friend got it from but here it is on Amazon. I also purchased this candle from Marks & Spencer online the other week as I was making an order for my brothers christmas presents and there was NO way I was going to get a package and not have a little something in it for me haha. The scent is Mandarin, Cinnamon and Clove and it smells exactly like christmas. 10/10 would recommend. You can purchase it here. I'm actually going to Japan on Monday so I knew in preparation I was missing a decent beanie which isn't daggy. I found this one on ASOS and it is 100% cashmere. YES, 100% CASHMERE MY FRIENDS. This will surely leave my noggin feeling all cozy. And it's reasonably priced considering it is 100% cashmere - it's $43. Would make a great present for someone. You can purchase here. One of my favourite things from 2016 has been the Great British Bake Off - seriously go watch if you haven't!! So when my friend came back from Scotland with this calendar I could have cried tears of joy. It's so adorable and each month features a recipe. 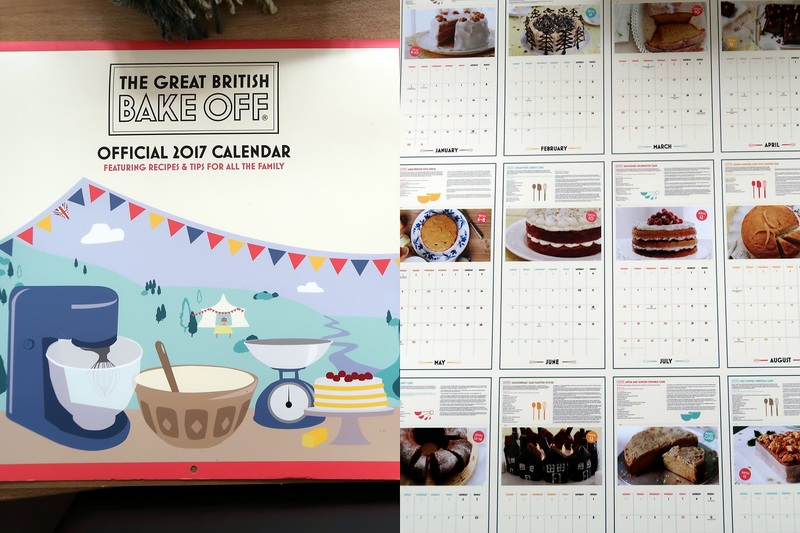 I' m not a calendar girl but I am making it my mission to use this in 2017 and bake ALL of the recipes. If you know someone who was obsessed with this show then you should definitely get them this. Lastly, for Japan I needed a scarf! As most of my winter wardrobe is black I needed to spice up my life a bit with something that wasn't black. And ta-da! I found this scarf! This scarf is so massive that it could also double up as a blanket - quite handy really aha. Very happy with this. My mum purchased this off ASOS for me. Hope everyone had a great November! Awesome gifts! I've been wanting the Canon G7x but I can't find it annnnywhere around here!! Ooh I love hand food, I've only tried the one in the original pink scent though. Are We Idiots For Spending So Much On Make-Up? Little life update | Hello from Japan!